What types of juridical help can we get from a lawyer ? The fact that people often do not realize the importance of their lawyer’s job, they tend to underrate him as well as his services. This will not, however, change the fact that in many cases, the service of a lawyer would be more than welcome. When can someone refer to a lawyer ? 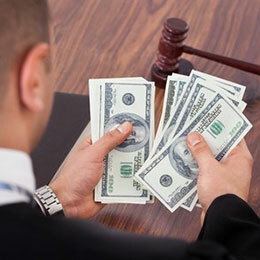 Theoretically, except in some cases, a lawyer is not required, but starting from a certain point of importance, in some of the cases one can have, using a lawyer’s services will for sure be rewarding. In France, hiring a lawyer is required in the administrative, civil, and criminal jurisdictions. In the administrative court you do not have to hire a lawyer in cases of abuse of power and any sort of litigations with contractual. When facing the State council, the presence of a lawyer is required. The Court of Cassation as well as the Assize Court requires also a lawyer. He is, however, not mandatory when facing the Commerce Court, the Correctional Court, the Labor Court, the Instance Court, or the Police Court. What are the lawyer’s priorities ? Many people use lawyers as a source of advices. This does not seem pretty spectacular, but, it often saves you from different unnecessary problems and litigations. A good lawyer defends his client orally and in written form. In the Written form, the lawyer assigns to the commercial and civil law requests in the administrative law. They also rely on different conclusions to be able to give a proper argumentation. In the oral form, the lawyer does what we always see in movies like pleading facing the judges.